On Thursday, the Democratic Governors Association released a series of memes showing a beachwear-clad Christie photoshopped into images of Lt. Gov. Kim Guadagno on the campaign trail. "Wherever Kim Guadagno goes, her record in the disastrous Christie administration will follow," DGA Communications Director Jared Leopold said in a release. "Kim Guadagno could run the length of the Jersey Shore, but she'll never be able to escape her record of being Chris Christie's partner in failure." @GovChristie I'm sure most Americans agree with you. They just had to cancel *thier* family plans where you didn't. Christie ignited a firestorm last week when images surfaced of him lounging on at Island Beach State Park, a public beach that was closed to the public because of the state legislature's failure to reach a budget compromise. The governor had claimed previously that he "didn't get any sun" during his family's beach trip. 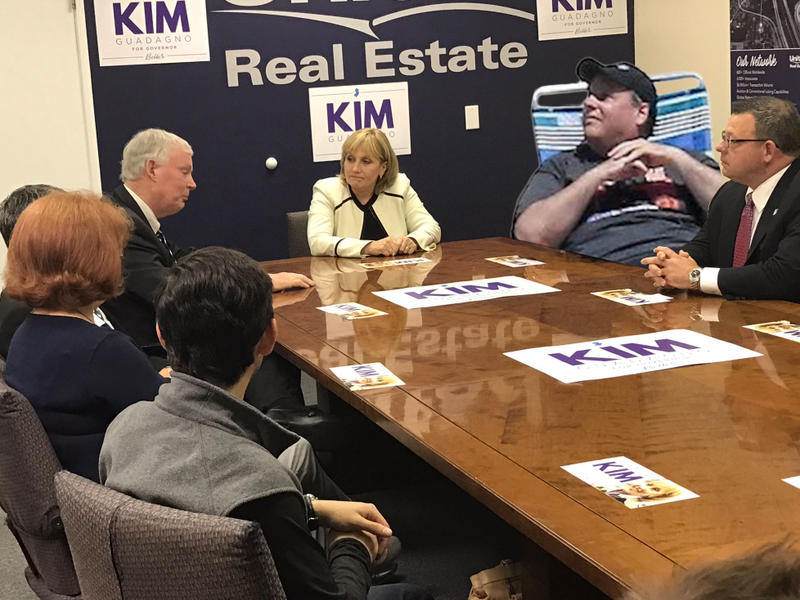 Christie's trip, captured in photos when NJ Advance Media flew a plane over the beach, became in instant viral sensation, inspiring memes. Guadagno distanced herself from Christie — the least popular governor in America, with a 15% approval rating in some polls — throughout the primary campaign, when her Republican opponent attempted to tie her to the governor. 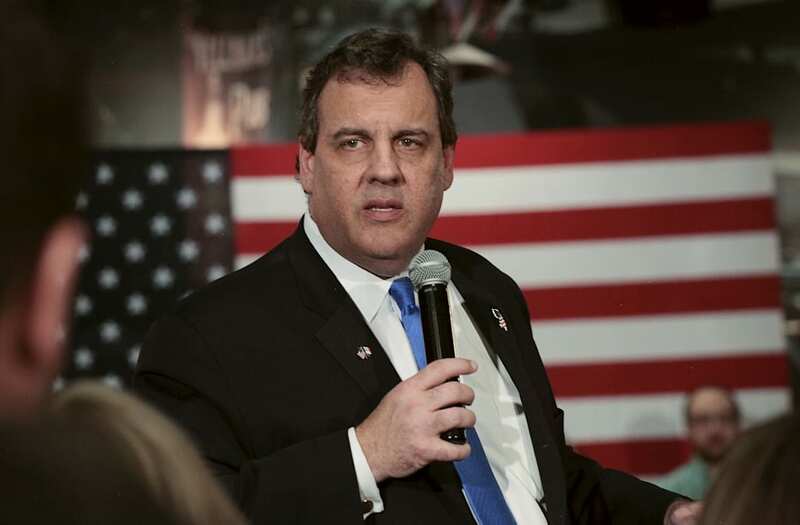 Despite having served with Christie for the last eight years, she has opposed his $300 million plan to renovate the New Jersey statehouse and his proposed gas tax increase. Indeed, Guadagno criticized Christie shortly after outrage built over revelations that he was using the closed beach. "If I were governor, I sure wouldn't be sitting on the beach if taxpayers didn't have access to state beaches," Guadagno wrote in a Facebook post. "It's beyond words." Guadagno is running a campaign as a fiscal conservative, promising to cut property taxes and review the state's spending, while attempting to cast her opponent, former Goldman Sachs executive and ambassador to Germany Phil Murphy, as a Wall Street crony. For his part, Murphy has run a campaign as progressive willing to raise taxes on the wealthy, raise the minimum wage to $15 an hour, and create a state bank, while attempting to make the 2017 gubernatorial election a referendum on Christie and President Donald Trump.